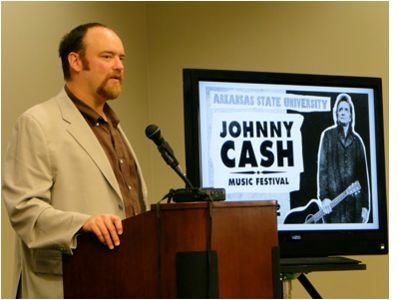 John Carter Cash and officials at Arkansas State University announced the lineup for this year's Johnny Cash Music Festival, at a Thursday morning news conference at Cooper Alumni Center, 2600 Alumni Boulevard, Jonesboro. Proceeds from the event will fund the restoration of the Johnny Cash Boyhood Home inDyess, Arkansas. In addition to Rosanne Cash, the 2012 concert lineup includes the living legend Willie Nelson, country music star Dierks Bentley, and Grammy Award-winning duo the Civil Wars.